Allergies and Dry Eyes Go Hand in Hand. What We Can Do to Help! Every year during allergy season, your eyes take a major hit. The itching and pain seems to escalate with the pollen count and the blurred vision makes even the simplest of daily tasks – like driving to work – difficult. There must be something out there that can help you feel normal again without having to wait until allergy season dies down! Fortunately, there are several dry eye procedures that can help! 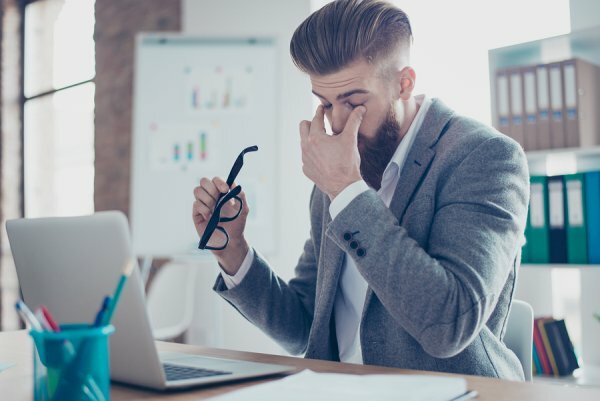 The expert eye doctors at Spindel Eye Associates are proud to offer a number of dry eye solutions that can decrease your allergy symptoms and help you see more clearly. When your tear ducts are draining tears at a rapid rate, the tears don’t have enough time to rejuvenate the surface of the eye and alleviate the burning sensation. Reducing the tear drainage may be all that’s necessary to solve the problem, and that is just what punctual occlusion does! This fast and simple procedure partially or completely closes your tear ducts to keep tears in your eyes longer. This can be done on a permanent basis through a minor surgical procedure or temporarily by inserting small, silicone plugs into the tear drainage ducts. Another procedure for relieving the dry eye symptoms of allergy season is known as Lipiflow . Many people who suffer from dry eye syndrome do not have enough oil in their tears to sustain the oil or lipid layer of the eye’s tear film. This deficiency is caused by blocked meibomian glands located in the eyelids. Lipiflow is a highly-effective localized heat and pressure therapy that unblocks the meibomian glands and allows for the natural production of lipids required for a healthy tear film. During the procedure, a disposable eye piece applies controlled heat to the inner eyelids and intermittent gently pressure to the outer eyelid, which massages away blockages and restores the natural flow of lipids. The pain-free procedure takes approximately 20 minutes and both eyes can be worked on simultaneously. Intense pulsed light therapy (IPL) has shown remarkable results for dry eye syndrome. Performed in our laser suite in Nashua, NH, this painless procedure improves the function of ocular glands so they can better lubricate the eye. During the procedure, the eye doctor will protect your eyes with a shield and apply a layer of cooling gel on the treatment area. Then, a small handheld device administers pulses of light to the eyelids and surrounding areas. When the procedure is complete, the doctor will express the meibomian glands to clear out any blockages and allow the natural oils to flow once more. If you are interested in learning more about the beneficial dry eye procedures provided by Spindel Eye Associates, please don’t hesitate to give us a call and schedule an appointment today! Give our friendly and knowledgeable team a call at 603-421-6489!